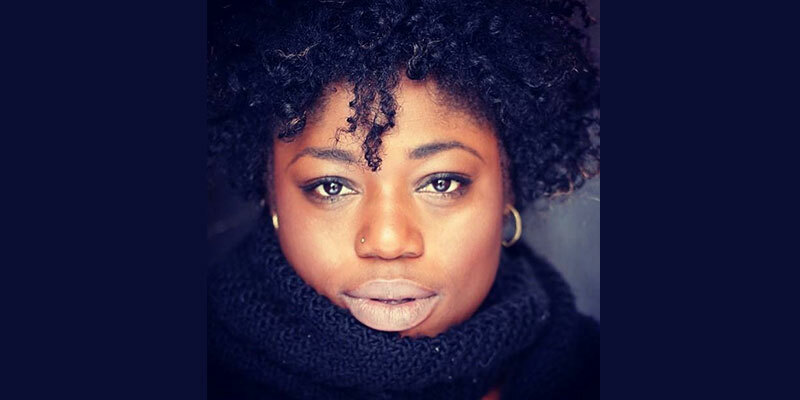 In celebration of the school’s 120th anniversary, the Berkeley Institute Anniversary Celebration Committee is shining a spotlight on its alumni, with the fifth profile highlighting professional actress Candace Furbert, Class of 2009, Gold House. What does it mean to you to be a Berkeleyite? To be a Berkeleyite to me means to never give up! We do not quit!! Even if it takes time, keep striving to be the best you can be. What was your fondest memory of your time at The Berkeley Institute? When I sang for the school for the first time at my first Founder’s Day in St. John’s Church, with my cousin Adrian Jones. That is a moment I’ll never forget because that was the day I realised that I was actually good and that I can change lives through my voice. What made The Berkeley special to you? Being a student in the Arts and Drama Department and being able to represent my school, doing something I’m great at. Deputy Principal, Mr. Henry James and Ms. Laquita Ebbin [my mathematics teacher] also made The Berkeley special to me because they embraced who I was and encouraged me to be the best version of me. How have you applied the motto “Respice Finem” to your life? I’ve applied the motto throughout my everyday lifestyle as a performing artist. It’s not always easy but the outcome is always worth it so I keep the end in view and I push very hard to get there. How did your time at Berkeley aid in your decision for your career path? My time at Berkeley was aided by the fact that there was a productive Arts Department and because I was allowed to use the facilities to improve myself as an artist. What advice would you give to current Berkeley students and other young people? Always chase your goals. Work hard, know your worth and also have respect for those who came before you. It is okay to lose but it is not okay to quit. We can’t always win but we can always learn. God is not going to give you something that belongs to someone else. Be patient, work hard and your time will come. I am a professional actress in the West End theatrical district of London and I was recently cast in the original cast of “TINA: The Tina Turner Musical”. What factors played a role in your decision to attend Berkeley? There is a long family history of both educators and students who went to The Berkeley Institute. My favourite teacher was Ms. Laquita Ebbin because she was very patient and down to earth. I could ask her for help on one question ten times and she would help me ten times. Even when seeking her guidance she was someone you could easily talk to and I will always love her for that. What do you like to do in your spare time/extra-curricular activities? In my spare time, while I’m in the UK, I go and watch other shows or I go to the cinema. It’s like research for me, learning from other artists. “From the onset Berkeley has been a beacon for the minds of tomorrow,” Berkeley’s 120th Anniversary Celebration Committee noted. “The green and gold family is steeped in tradition and culture in academic excellence, Berkeleyites have made and continue to make profound and valuable contributions to Bermuda and the world. “The Berkeley Institute wants to recognize the exciting and innovative things our alumni are doing, here in Bermuda and around the globe. “Berkeleyites compromise all walks of life and careers from academia and athletes, to banker and business owners, educators and engineers, politicians and preachers, dancers and doctors to homemakers and hoteliers. And as part of the celebration of Berkeley’s 120th anniversary, alumni of the school are being featured on Bernews.